The Universal Serial Bus (USB) standard is so common that just about everyone can identify some of the more basic connectors involved with USB 1.1, especially the plugs seen on flash drives and keyboards, as well as the receptacles seen on computers and tablets. However, as USB became even more popular with other devices like smartphones, and USB 2.0 and USB 3.0 were developed, other connectors became more common, confusing the USB landscape. Use the USB physical compatibility chart below to see which USB plug (male connector) is compatible with which USB receptacle (female connector). 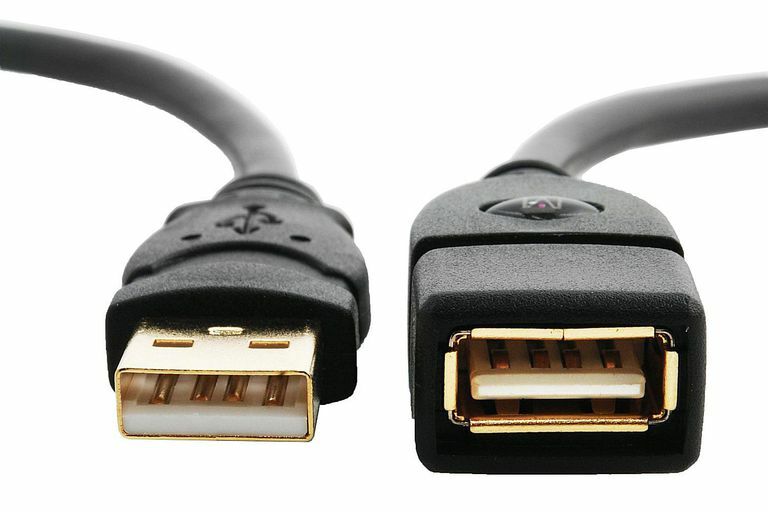 Some connectors changed from USB version to USB version, so be sure to use the correct one at either end. For example, using the chart below, you can see that USB 3.0 Type B plugs fit only in USB 3.0 Type B receptacles. You can also see that USB 2.0 Micro-A plugs fit in both USB 3.0 Micro-AB and USB 2.0 Micro-AB receptacles. The below USB compatibility chart was designed with physical compatibility in mind only. In most cases this also means that devices will communicate properly, albeit at the lowest common speed, but it's no guarantee. The biggest issue you'll probably find is that some USB 3.0 devices may not communicate at all when used on a computer or other host device that supports only USB 1.1. BLUE means that the plug type from a certain USB version is compatible with the receptacle type from a certain USB version, RED means that they are not compatible, and GRAY means that the plug or receptacle does not exist in that USB version.